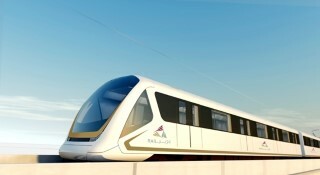 On 20 February, a consortium consisting of Mitsubishi Heavy Industries, Mitsubishi Corporation, Hitachi, Kinki Sharyo and Thales received a ‘Letter of Conditional Acceptance’ from the Qatar Railways Company for a systems package for the Doha Metro, the first metro system to be constructed in Qatar. The project is one of the world’s largest for a single metro system. 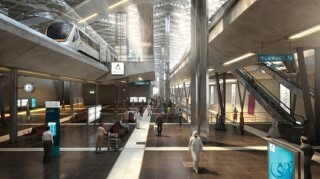 The launch of phase 1 of the Doha Metro is scheduled for 2019. The Doha Metro will consist of 4 lines (Red, Green, Gold and Blue) in 2 phases. The network will cover a total distance of 241 kilometers with 106 stations, of which 123 kilometers will be constructed underground. It will connect the main areas of Doha, including the Hamad International Airport opened in April 2014, the Old City, and newly developing inner city areas such as West Bay and Lusail. Qatar Rail is the owner and manager of Qatar’s rail network and responsible for the design, construction, commissioning, operation and maintenance of the entire rail network and systems. The newly accepted package calls for turnkey construction of a fully automated driverless metro system. Included are 75 sets of three-car trains, platform screen doors, tracks, a railway yard, and systems for signaling, power distribution, telecommunications and tunnel ventilation. The package is also expected to include maximum 20-year maintenance services for the metro system after its completion. Mitsubishi Heavy Industries, the leader of the consortium, will supply the power distribution system, platform screen doors, tracks and tunnel ventilation work, and will also undertake overall project management and system integration. Mitsubishi Corporation and Kinki Sharyo will jointly provide the railway cars. Thales will supply the advanced communications based train control (CBTC) signaling, telecommunications & security, integrated operational control center and automatic fare collection systems. Hitachi will perform some project management duties and also handle facilities maintenance, including the supply of special maintenance vehicles that comprehensively inspect the safety of infrastructure such as railway tracks and electric train lines. Alstom has been designated as the contractor to supply rubber-tyred metros trains for lines 1, 4, 6, 11 and 14 of the Paris metro and the future Grand Paris metro.The contract is for a maximum of 217 MP14 trains over a period of 15 years and is worth a total amount of more than €2 billion. 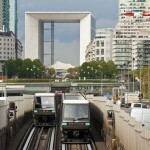 Through this contract, three different organisations are grouping their orders: STIF (the Paris transport organising authority), Société du Grand Paris (the public agency tasked with designing and implementing the extension of the metro network) and RATP (the operator of all Paris metro lines today). 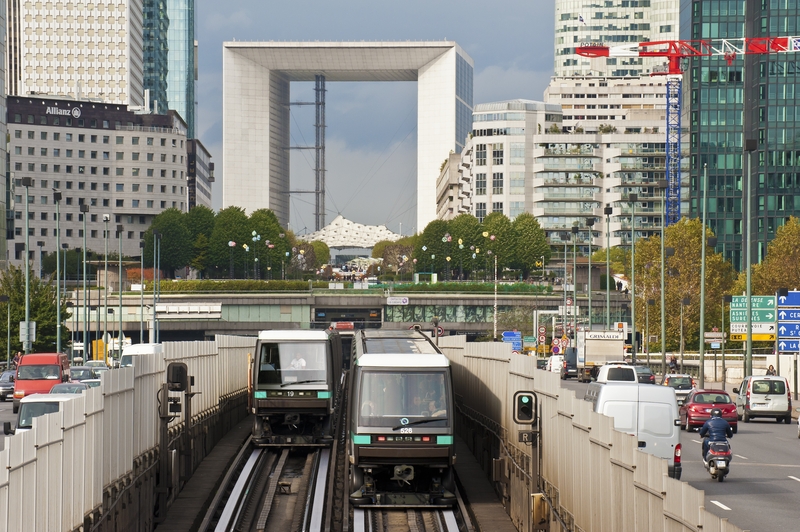 A first firm order, for an amount of around €500 million, concerns 35 eight-car metros for the automated line 14. This should be followed by a second order for up to 37 trains for extensions to this line and then conditional options. MP14, the latest-generation rubber-tyred metro, will have a 100% electric braking system that recovers energy and re-injects it into the network in the form of electricity. With this new rolling stock, RATP aims to reduce energy consumption by 20% compared to the previous generation of vehicles and by 50% compared to the oldest rubber-tyred rolling stock that is still in service. 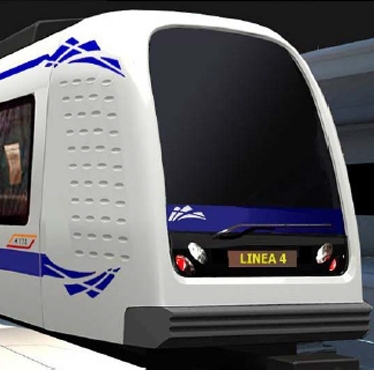 In July 2013, STIF approved the proposal of RAPT to convert Line 4 into a fully automated metro line, with expected completion by 2022. On 26 December, Nippon Signal received the order for the signaling system for Metro Line 6 of São Paulo, Brazil, from Mitsubishi Heavy Industry (MHI) . 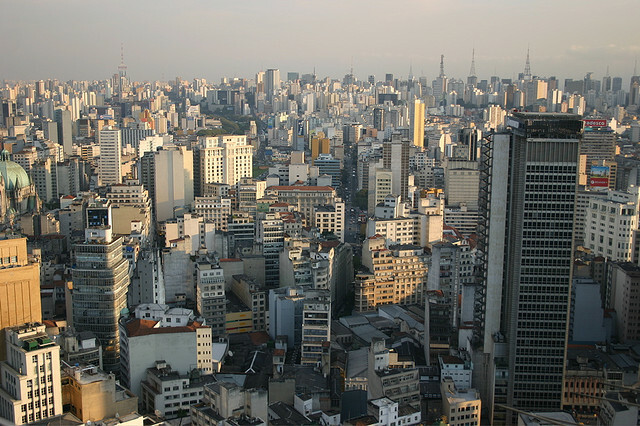 MHI signed a contract with Move São Paulo (MSP), constructor and operator of the line, for the driverless operation railway system. 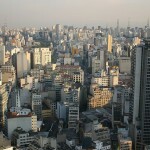 São Paulo Metro Line 6 is to run for 15 km and is to have 15 stations from downtown to the northwest high-density residential district. It is expected to carry 630,000 people a day. Nippon Signal is responsible for the signaling system in this project and will deliver ATS (Automatic Train Supervision), EI (Electrical Interlocking) and ATP (Automatic Train Protection, the company’s CBTC called “SPARCS”). AnsaldoBreda was awarded a contract for 250 million euro for the M4 line of Milan. The agreement is for the supply of 47 driverless metro trains. Line 4 of Milan, whose construction is expected in about 7 years, will link the airport of Milan with the San Cristoforo FS railway station, crossing the city centre from east to west, with 15 stations over 14.5 km. AnsaldoBreda will manufacture 47 driverless trains, with four cars and bidirectional (that is capable to operate in both directions). The interiors are characterized by the absence of obstacles and constrictions among the cars, allowing to have a single space for the entire length of the vehicle. The trains can carry 600 passengers, out of which 64 seated, and will have two seats for the handicapped. The maximum speed is 80 km/h. The trains have been designed for passenger’s maximum comfort and safety: air conditioning and heating, fire detection, events static recorder and advanced communication systems to the traveller. Like any driverless, the vehicles will offer to all passengers on board a panoramic view, typically exclusive to the driver, due to the large window that replaces the driver’s cabin.